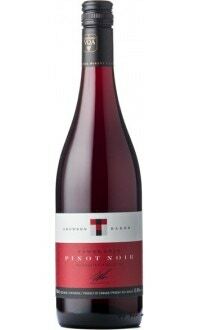 This Pinot Noir spent 16 months in French oak barrels; 30% of which were new. 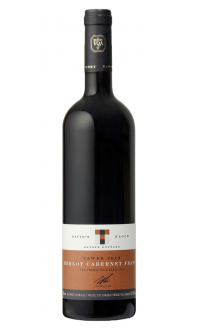 Another 10% were aged in new medium plus toast barrels, to encourage the fruitiness of the wine to come through and to round out the strong tannins. Earthy notes are accompanied by aromas of cedar and cranberry. 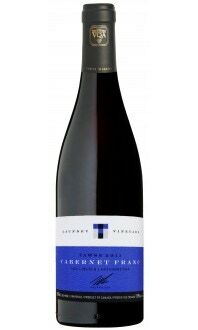 Firm yet approachable tannins on the tongue are followed by wild blueberry and black currant leaf. 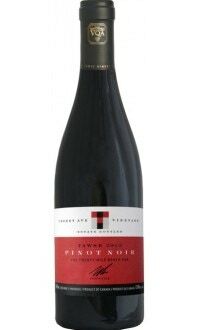 Food Pairings: Pinot Noir is always a delight to pair with, and this one is no exception. Serve with ricotta gnocchi, grilled vegetable pizza or mussels with a fennel broth.